I have browsed the land of the Internet, far and wide, to accumulate the best B2B marketing tools I could possibly find! Not only will these tools help you become a better small business marketer, but they will also help you become a better writer, a more knowledgeable participant in your industry, and a more organized businessperson. 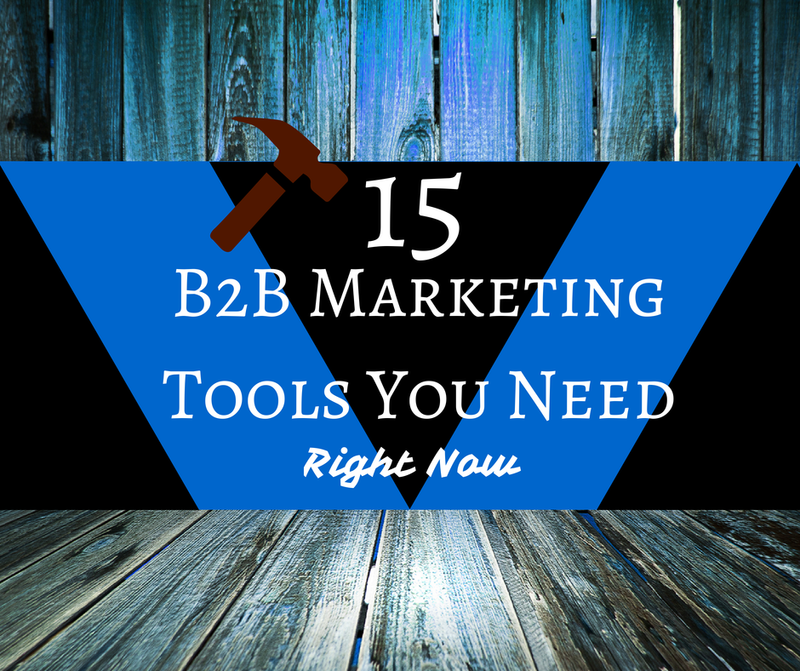 Whatever your B2B marketing needs, I guarantee these 15 tools will help! So get your “bookmarks” tab organized, because you have 15 more to add to your browser! BuzzSumo – Buzzsumo is a content curation site. You can browse the most shared articles on the Internet over the past 6 months to the past 24 hours. Another cool feature of BuzzSumo… You can type in your blog title into the search bar, and you can see just how many shares your content receives! Fanpage Karma– You may have run into the question: “How do I monitor my social media success?” Social media analytics are becoming increasingly more accessible in the digital marketing field. Fanpage Karma helps you determine just how much of an impact your small business is having on Facebook and Twitter. GotoMeeting – Webinars are the perfect and free way to engage your customers. Just last month, we hosted a 3-day online marketing webinar, and it was a huge hit! GotoWebinar is free, and very comprehensive to use. Plus, you can record your webinar and post it as a PodCast or as a YouTube video! Now that’s a great way to make use of your content. Google Docs – Google Docs are one of the most convenient tools for blog writing, content calendar building, and pretty much any other marketing document you will ever need to draft. You can easily share Google documents with your coworkers, you can access them anywhere, and you can track multiple user changes at the same time on the same document. of the battle. Google trends can help you stay on top of the most talked about topics and people in the world. Join the conversation, and I guarantee you will see higher engagement. HootSuite – When you start to expand your business on social media, you notice your desktop seems more and more cluttered as each new day comes to fruition. HootSuite makes the management of social media extremely accessible and easy to manage. You can manage up to 10 accounts on the HootSuite free version, which includes Twitter, Facebook, Google+, LinkedIn, Foursquare, Instagram, and more. Everything you need to monitor each of your profiles, is right in your HootSuite dashboard. HubSpot Blog Topic Generator – When you’re struggling for content ideas, and you want to maintain your posting schedule of 1 blog per week, HubSpot blog topic generator is the way to go. All you do is type in 3 keywords, and HubSpot generates 5 blog topics to add to your list. HubSpot Marketing Grader – Class is in session with HubSpot Marketing Grader. Test just how effective your marketing efforts are, with this completely free tool. Present these numbers to your board, and stay on top of your finances and efforts in the market. Must Be Present – Think you’re engaging with your customers enough to be important online? These statistics and numbers might surprise you… No need to fret! All you need to do is #BePresent. Pocket – One of my biggest struggles in marketing used to be my inability to remember great websites and content URLs that I wanted to curate for our marketing efforts. I tried writing them down, copy and pasting them on a Sticky Note, and some other unsuccessful tactics. Then, I found Pocket. All it takes is a simple click on your toolbar, and Pocket stores all of your favorite and most important websites in just one place. Portent’s Content Idea Generator – Here’s another great source for creating engaging blog topics. Similarly to HubSpot blog generator, you type in a subject line, and Portent develops a blog topic for your use. 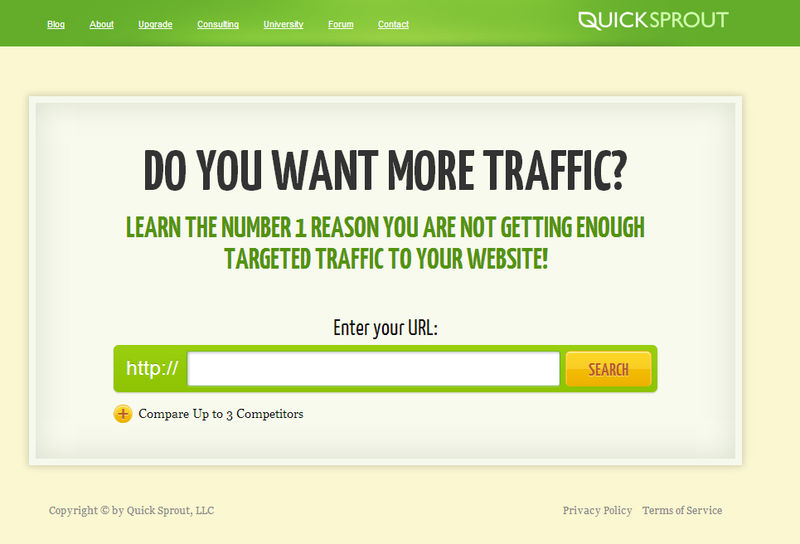 QuickSprout – QuickSprout is one of my favorite websites and marketing tools. If you want to know how your business is doing compared to your fiercest competitors, then QuickSprout is your tool. You can select up to three competitors, and see how you rank up to each of them in a detailed analysis that is completely FREE. Readability Test Tool – If you are a little weary about your lack of copy editing on your blogs, or you write your blogs in the 30 minutes of free time you have every day, and you want to make sure they are up to par for your industry, then you need to use the Readability Test Tool. This online tool allows you to copy and paste your content into a text box, and it will tell you how “readable” your content is. What a fantastic tool for the small business owner on the run! SharedCount – You must monitor your blog activity online. SharedCount helps you to do this. Remember our blog: What No One Tells You About Social Media… But Should! You NEED to monitor your blog success for an accurate digital marketing analysis. This online tool helps you to do just that. Slideshare – If you want to learn about your industry or just small business in general, or you want to create engaging and creative content for your customers, SlideShare is a great tool for you to use. 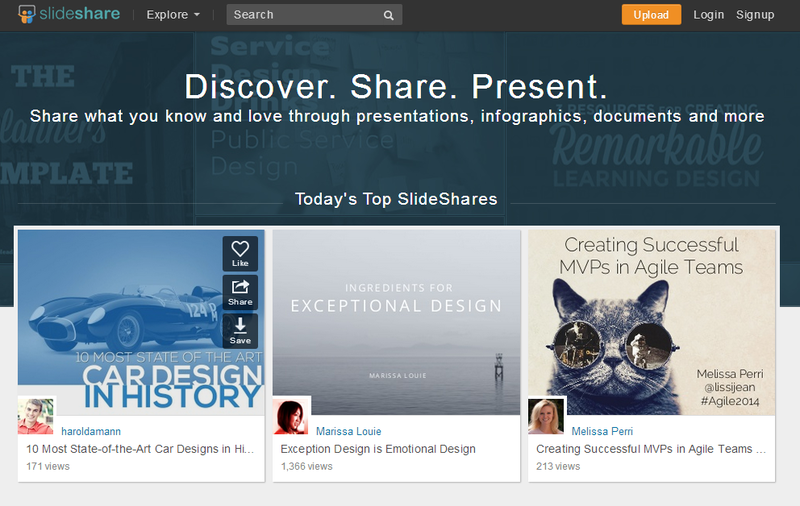 The great thing about SlideShare presentations? They encourage you to keep your content simple and short! No need to create heavy-text slides, just slap on some images and your best factual content, and you have a beautiful SlideShare! All of these tools will change the way you look at social media; it sure has heck has changed my perspective. Let us know what your favorite B2B marketing tools are, we would love to hear them! Just comment below, and we’ll do our best to update this list!